If your multipoint locking system mechanism has failed, you can replace the mechanism at a fraction of the cost of a whole door, or you may simply want to improve your security by upgrading the system. 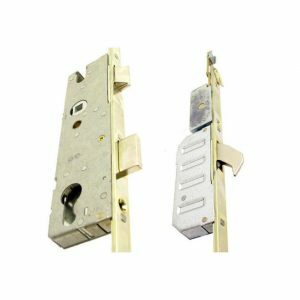 A multipoint lock mechanism works via a Euro profile cylinder and comprises of latches, hooks, deadbolts and roller cams to secure your door. Engineer was polite, well groomed and very helpful. Even my husband who is partially sighted understood how to use the system. The engineer even used the vacuum cleaner. Polite attitude of your technician, minimum disruption.